A Genovese capo who was once buddies with Rev. Al Sharpton was arrested Thursday on racketeering charges involving loan sharking, extortion and illegal gambling. 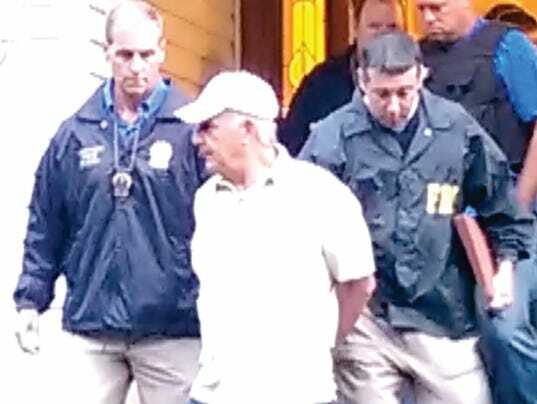 Daniel Pagano, 61, son of the late Genovese hit-man Joseph Pagano, was busted at his Ramapo, NY, home and arraigned before a Magistrate Judge Sarah Netburn in Manhattan federal court on racketeering conspiracy. An associate, Michael Palazzolo, 49, of Rockland, was also charged before Netburn on racketeering conspiracy and extortion conspiracy. Pagano faces a maximum of 20 years behind bars and Palazzolo 40 years. The alleged crimes took place between 2009 and February 2012. Palazzolo and several unnamed co-conspirators also used threats of force to collect payments from a person they believed robbed one of the co-conspirators of marijuana, the indictment says. Pagano has been reportedly linked to an unsuccessful mob attempt in the early 1980s to recruit Sharpton to distribute illegal drugs. The two were also once acquaintances. Sharpton, according to reports, was also once a mole with the FBI’s Mafia unit when they were investigating Pagano’s father. Sharpton has denied being a snitch or any wrongdoing. Papa Pagano was involved in entertainment-industry schemes for decades, allegedly controlled “Rat Pack’’ singer Sammy Davis Jr. and once even “lost a big roll [of money] to Dean Martin and Frank Sinatra,’’ FBI sources have said.